My baby just turned 3. Three, you guys! He tells me every day that he&apos;s not a baby anymore. 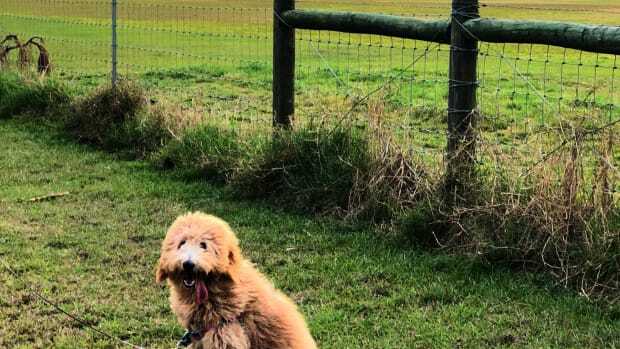 He&apos;s a big boy! What do big boys get? Big boy parties, of course. 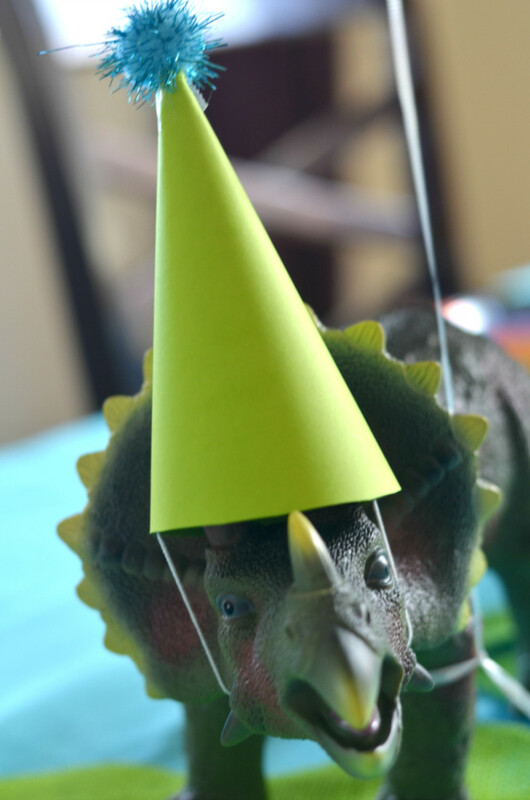 This year he chose his own theme: dinosaurs. 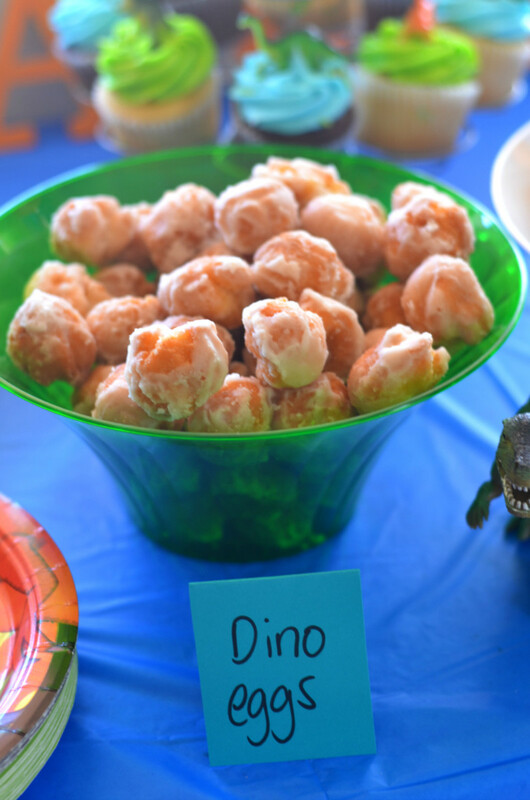 I knew I could pull off a dino-mite party with lots of prehistoric fun. 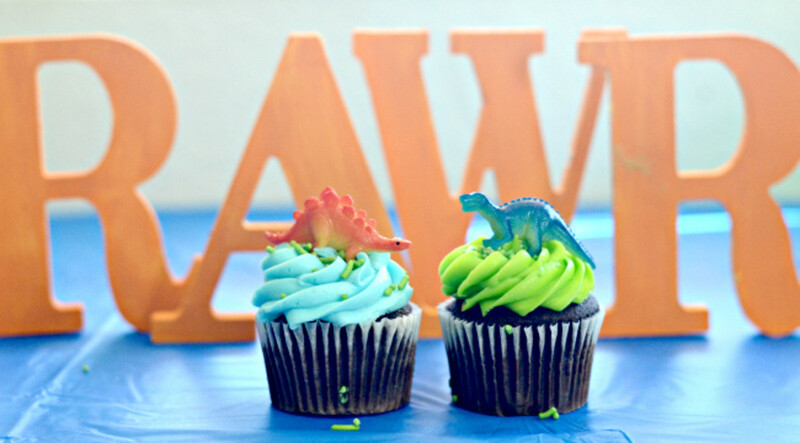 We invited his little friends and had ourselves a dinosaur party this past weekend! The colors were green, blue, and orange. I made my own invitation on canva. 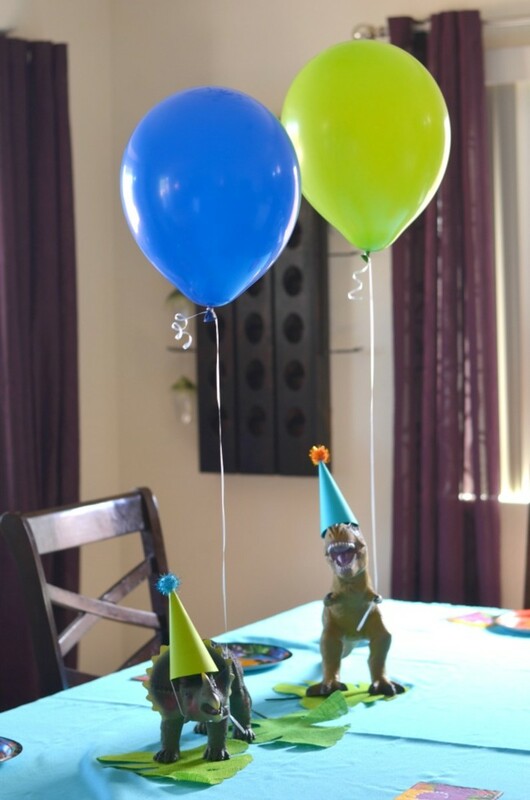 I decorated the main table with his dinosaurs toys. 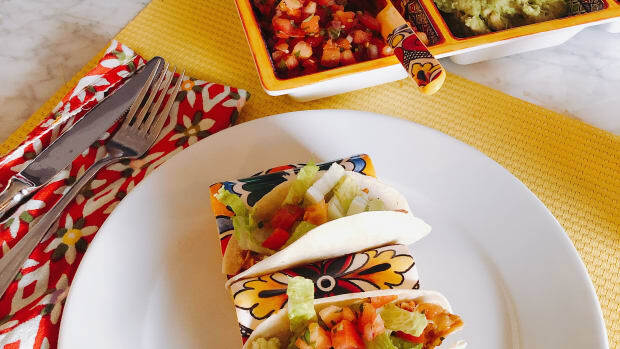 They were made festive with party hats made from cardstock and pompoms. 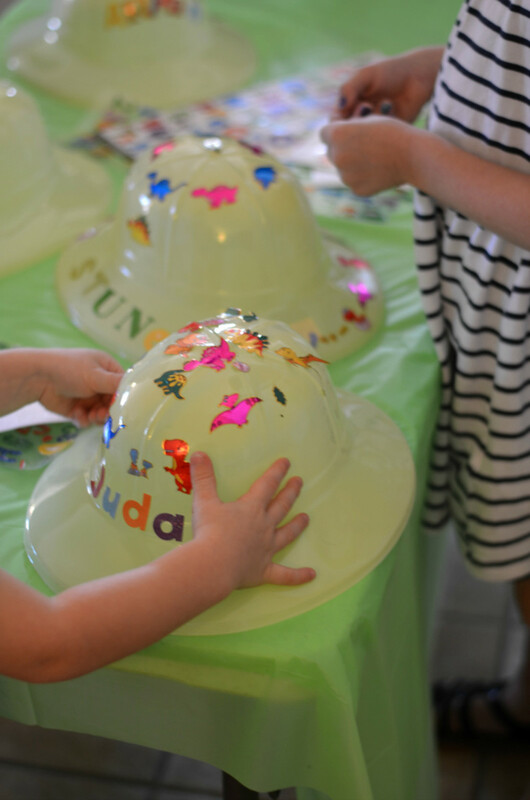 The first activity we had for the kids was a hat-decorating station. 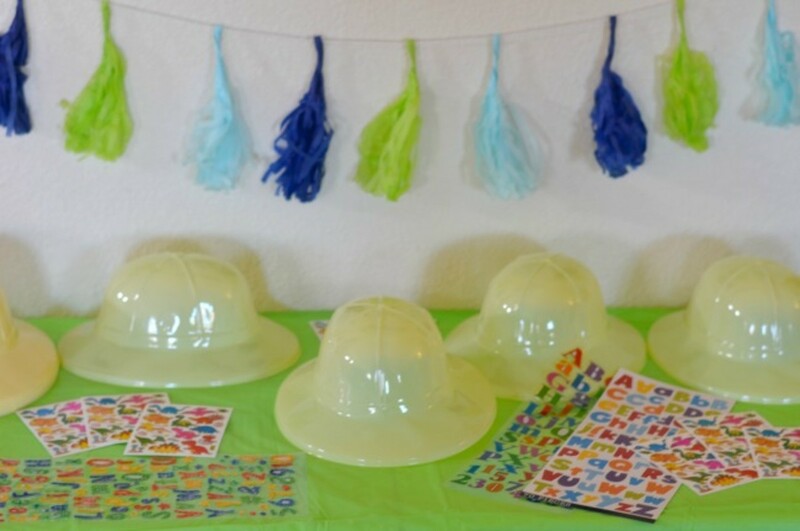 They are really safari hats but we called them Paleontologist hats. 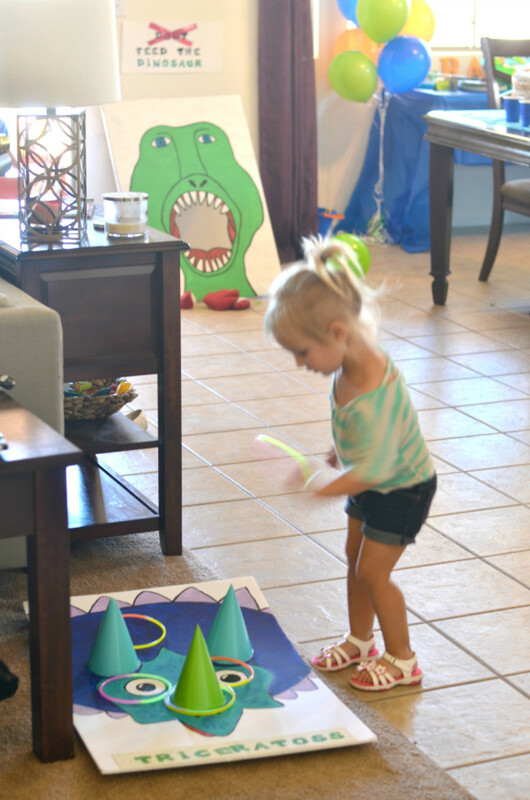 We set out an assortment of dinosaur and letter stickers for personalization. I made two dinosaur themed games "Don&apos;t Feed The Dinosaur" and "Triceratops". My 7 year old thought of the name Triceratoss, so I had to make it. She&apos;s so clever! 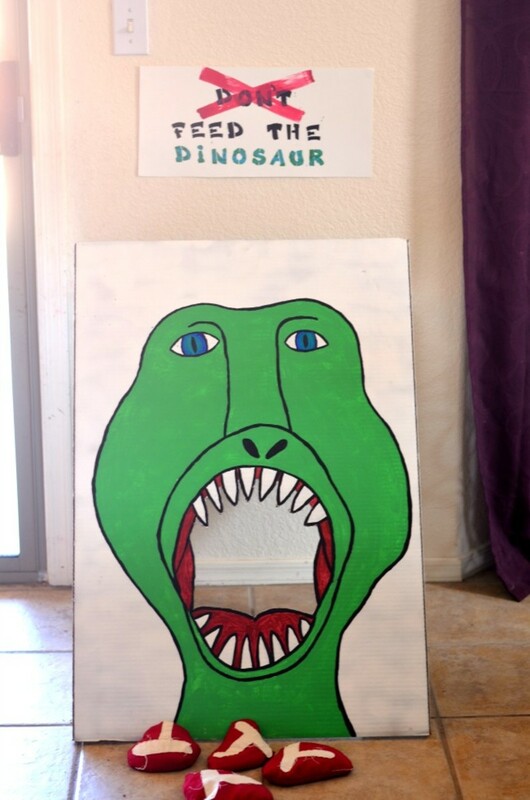 For Don&apos;t Feed The Dinosaur I drew a dinosaur face on a trifold poster. My husband cut out the opening of his mouth and then I made simple t-bone shaped bean bags. For the beanbags I just cut rounded triangle shapes out of red fabric. I sewed on a t-shape to the front with white fabric. 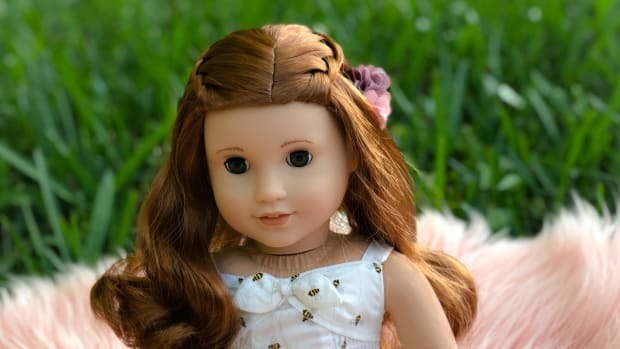 I sewed them together, leaving a small opening to insert dried beans and then finished them off. Triceratoss was a bit easier to create. 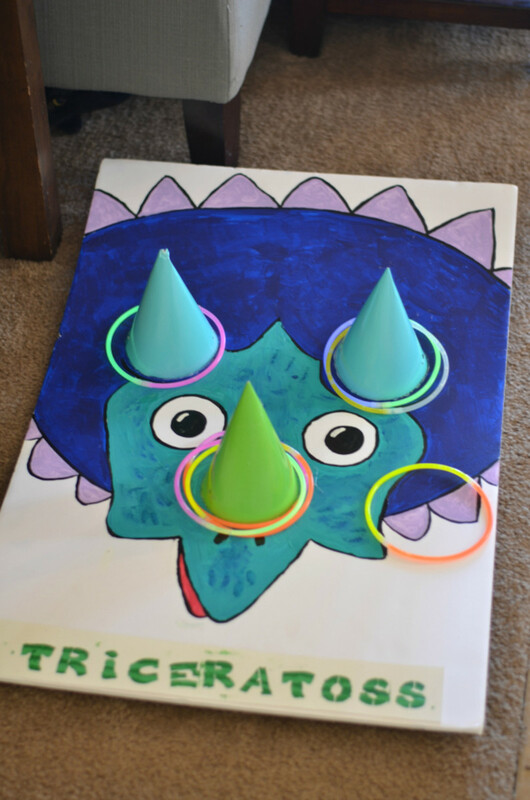 Using a foam board I painted a triceratops face, leaving room to glue on party hats for the toss part. We picked up a pack of glow-in-the dark bracelets from the dollar section at Target and connected two bracelets together to make the rings for our Triceratoss. I&apos;m a big fan of doing themed foods for my parties. 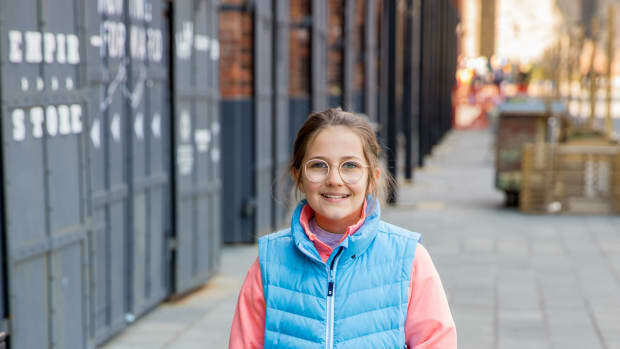 I had so many great ideas for dinosaur themed food but ended up narrowing it down to easy food that I knew I could pull off quickly and still look cute. 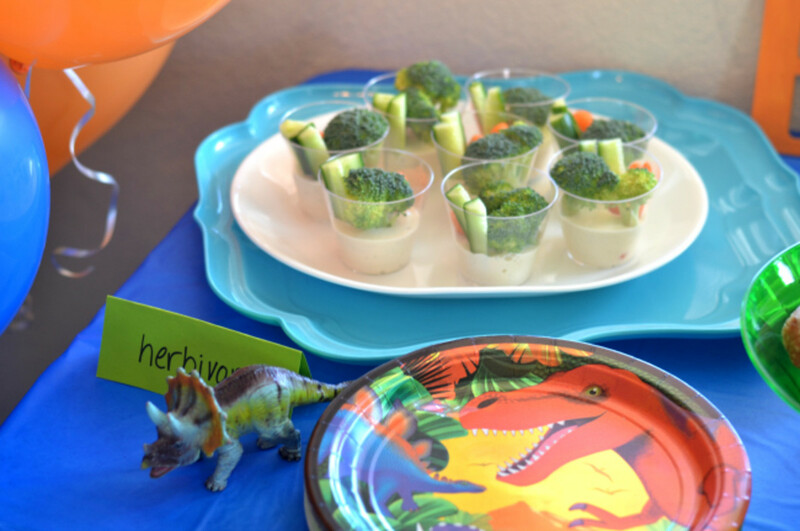 We had herbivore cups - broccoli, cucumber and carrots in cups with ranch dressing. 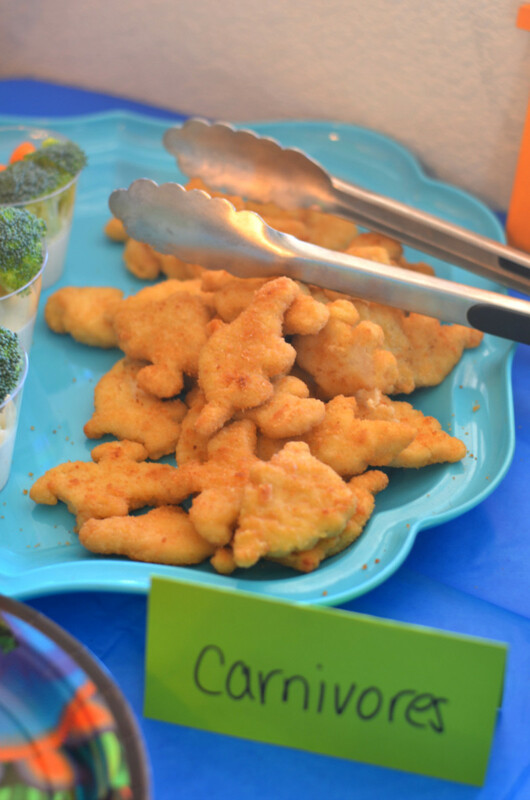 There were bites for the carnivores too - dinosaur chicken nuggets, a kid favorite! 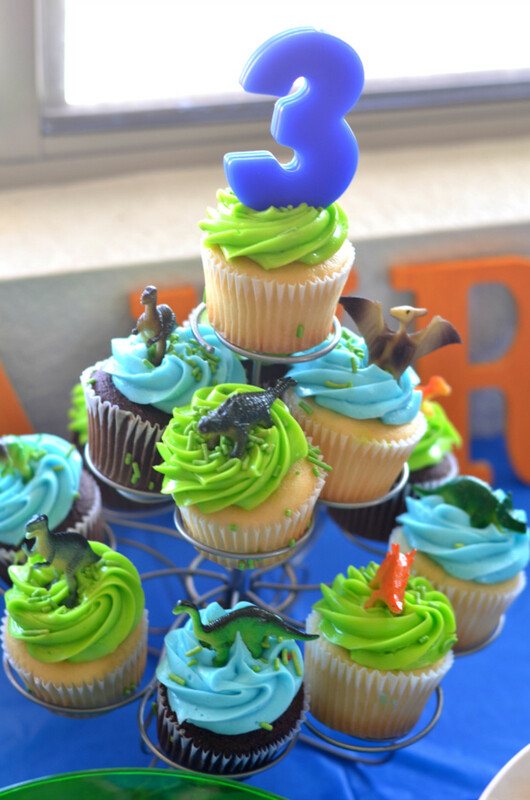 Store bought cupcakes with mini dinosaurs on top made a cute display! 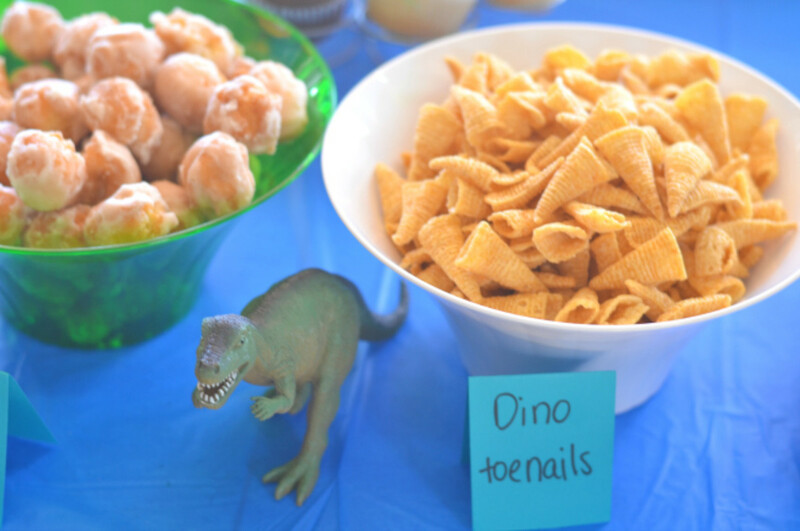 There was also bowls of dino toenails (Bugels) and dino eggs (donut holes). 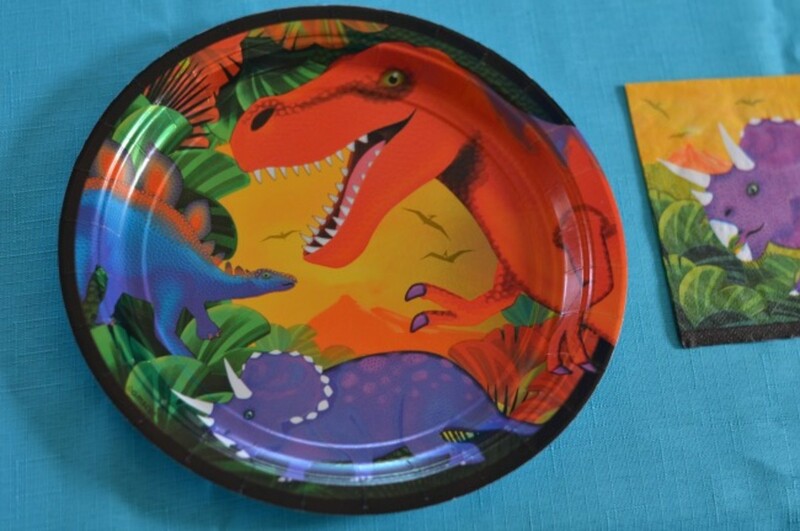 We served them all on these cute, metallic dinosaur party plates. 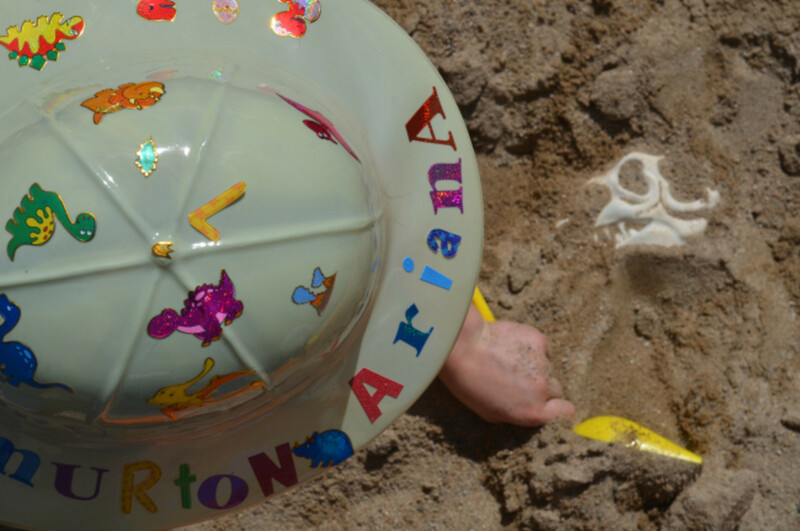 The highlight of the party was probably the dinosaur dig! 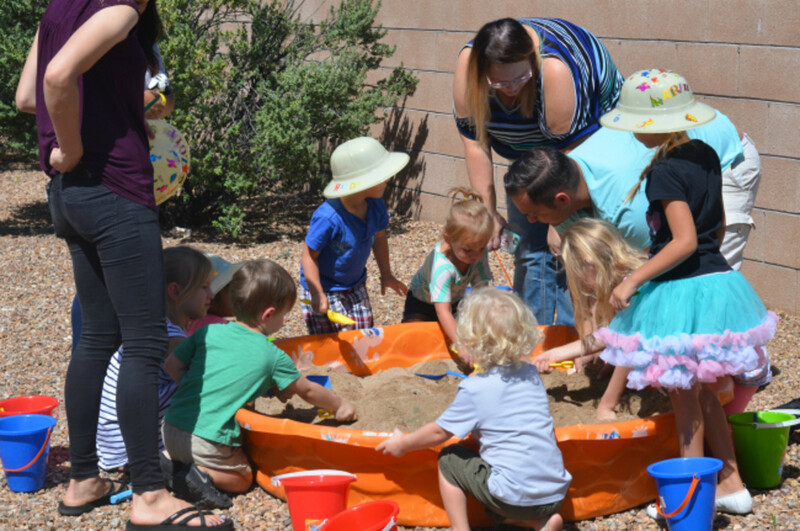 We turned our old kiddie swimming pool into a big sandbox full of dinosaur bones! 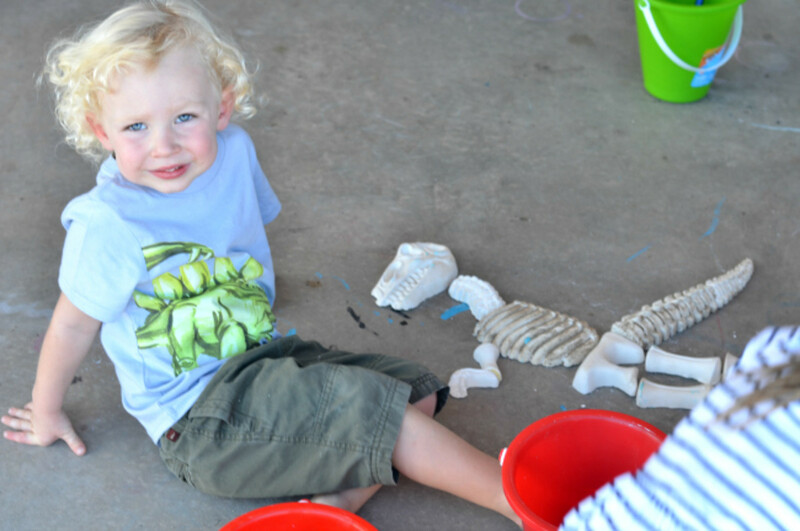 We made giant dinosaur bones using this dinosaur bone mold kit. I just followed the directions on the box of plaster of paris. **Little tip: Don&apos;t fill the molds all the way to the top, it makes it hard to get the bones out. We made a blue set and a white set of bones. 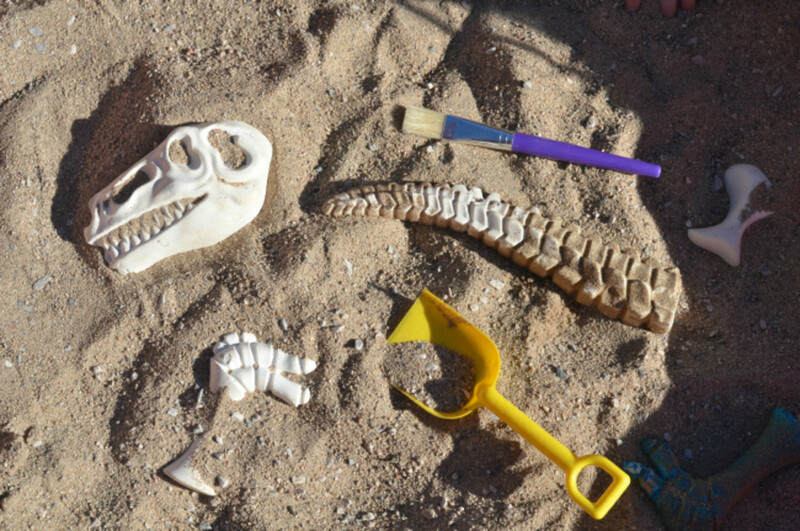 We also hid mini dinosaur skeletons for the kids to find. 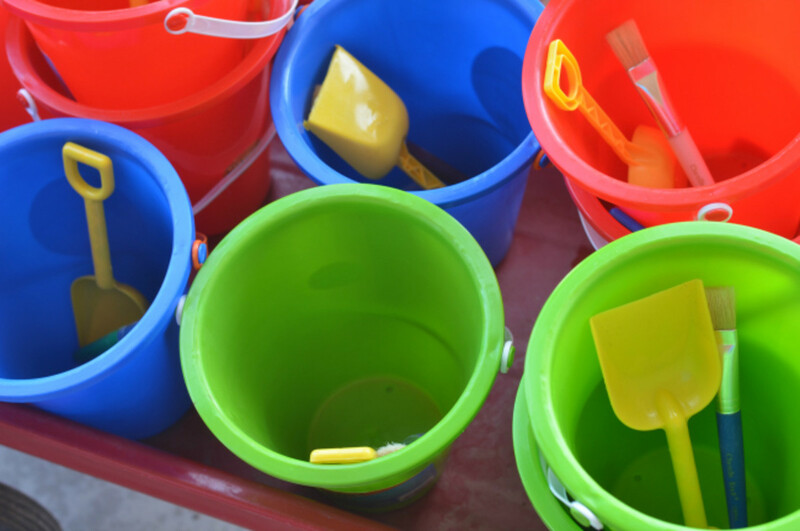 First, each kid got a bucket, shovel, and paint brush to play paleontologist and dig for bones! 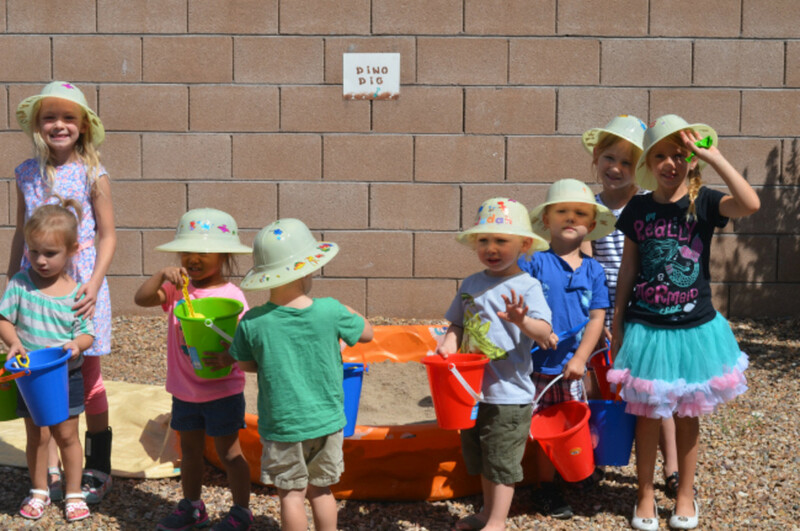 The little paleontologists were so excited to get started that it was hard to get a good group shot of the kids, ha! 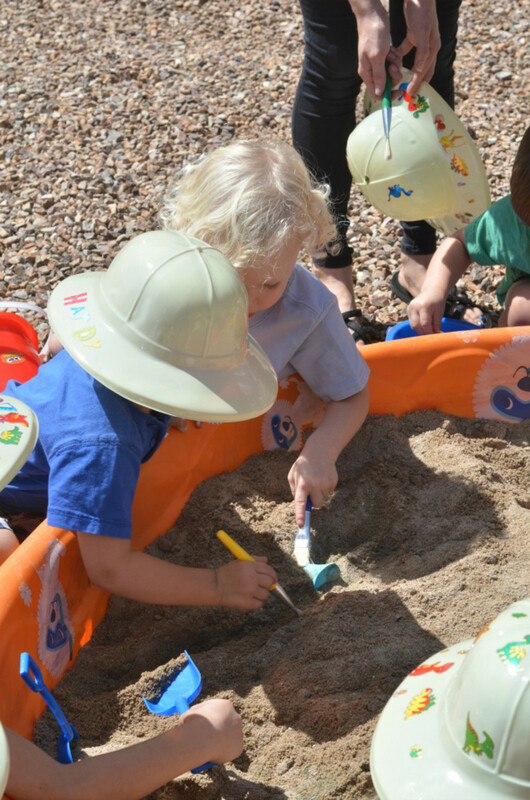 Everyone enjoyed digging and brushing and hunting for bones. 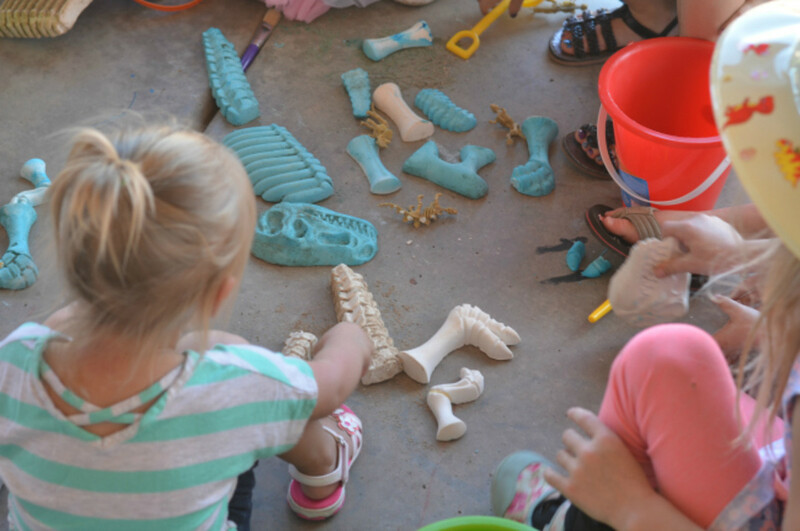 Once all the bones were collected, they set them out on the patio to arrange the dinosaurs. Teamwork! 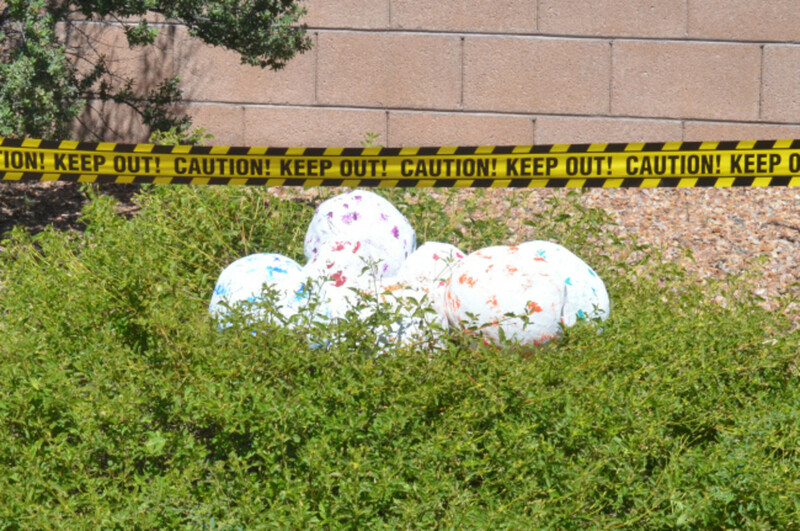 We created a dinosaur nest in our backyard by placing oversized DIY dinosaur eggs in a low bush and taping it off with caution tape. 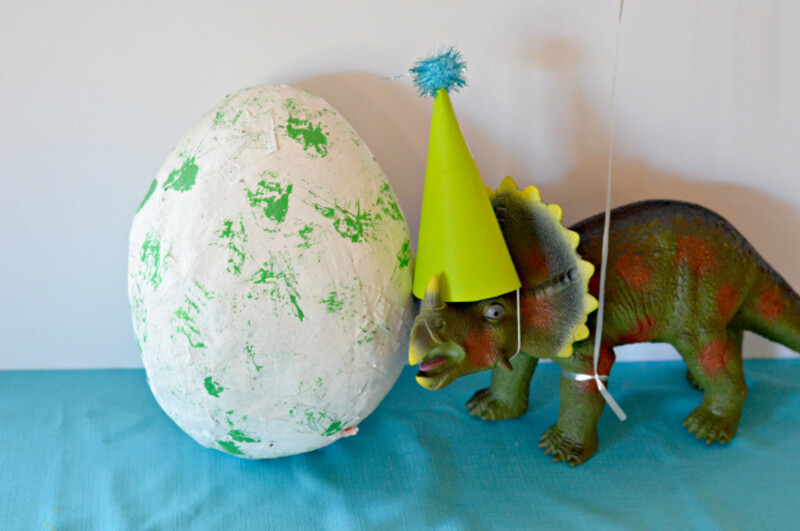 You can check out our video tutorial on how we made these "surprise inside" jumbo sized dinosaur eggs. 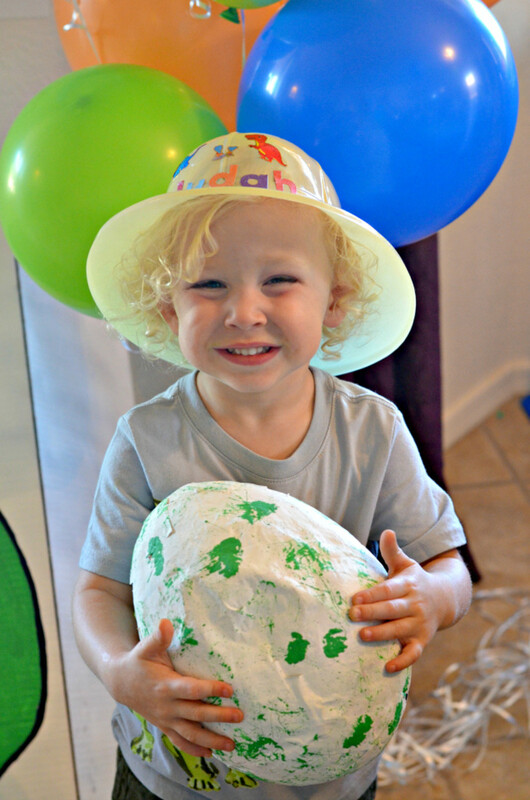 We gave our dinosaur eggs out as party favors and the kids loved hatching their dinosaur eggs and finding a surprise dinosaur inside! 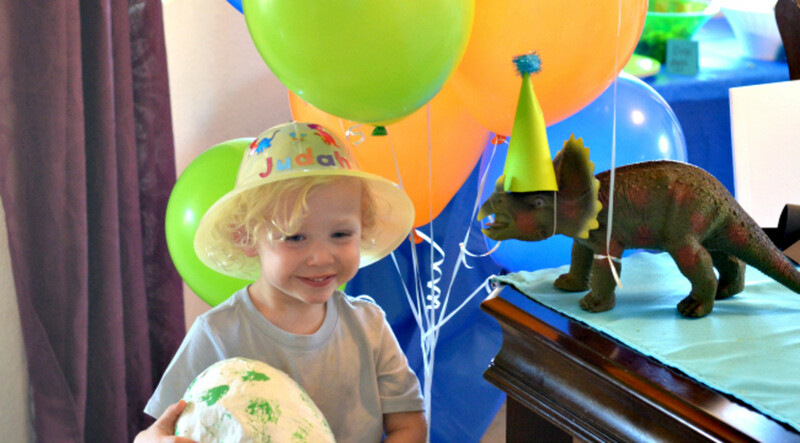 My little guy loved his dinosaur birthday party and is still thanking me and talking about it days later! 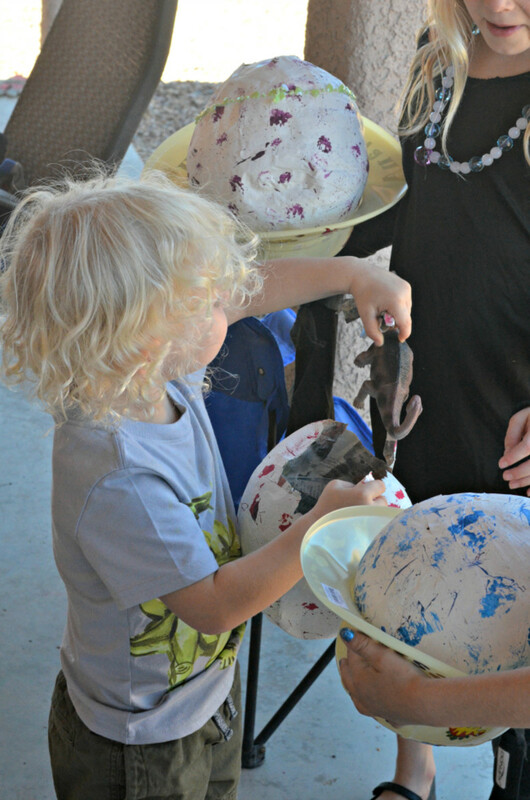 Don&apos;t forget to check out our DIY Dinosaur Eggs tutorial!